There is a perception that losing weight is about counting calories, sins, dieting or using meal replacements or taking the latest wonder drug or pill. Obesity is often seen as difficult to deal with with a sense that bariatric surgery is the only option when the diet counselling or CBT fails. We have known for a long time that the diet and the attendant obsessions with pounds lost often leads to WEIGHT GAIN. Enough of yoyo dieting or boom and bust! This is a radically different 21st Century Approach – we know the diet works short term and when you go back to “normal eating’ back comes the weight! Weight Loss is actually a mindset issue. If you really want to tackle obesity or binge eating disorder then you need to tackle WHY you overeat. 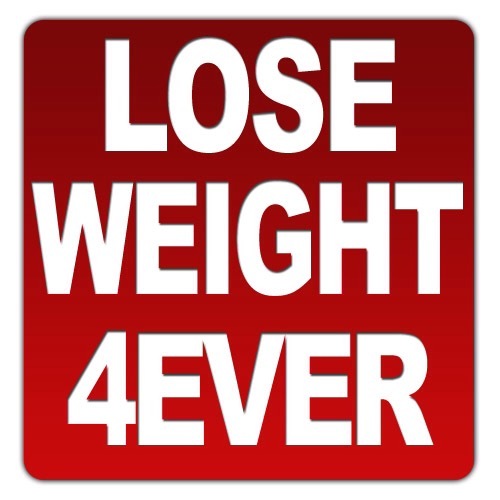 I run weight loss with hypnotherapy courses which include Hypno Gastric Band hypnosis. These sessions tackle the underlying drivers and triggers of craving or “food addiction”. Actually the overeating is usually triggered, in my experience, by low self esteem, boredom, anxiety, stress, depression, lack of confidence and more. I have seen clients who comfort eat or binged as a defence mechanism who had suffered physical and / or sexual or domestic abuse or trauma. There are many reasons why people might use food for comfort and they might binge or constantly pick and nibble or graze. These are generally coping habits rather than food addictions. If you recognise the patterns that trigger the cravings then you will stop self medicating with food. There is a sense in which food has become for some like a tranquilliser. I work with clients to address these coping habits with strategies and by questioning their default thinking processes. We put in place a weight management approach. The truth is that obsession with small amounts of weight lost or gained is too obsessive and calorie control or starvation or meal replacement or other slimming regimes are frankly BORING. Weight loss is also almost never in a straight forward downward line: If you go to the Gym and gain muscle mass you will appear to gain weight. You might lose a lot of water at first and then it all slows down as you tackle the fat. This is not failure – you have to recognise that until you find your stable weight and size you will be up and down in weight. THE MOMENT YOU GIVE UP IS THE MOMENT YOU START PUTTING WEIGHT BACK ON AND OFTEN YOU WILL PUT ON EVEN MORE WEIGHT. If you assume that you have failed then you will go back to overeating. Actually failure should be a lesson to improve! The final session is the revolutionary HypnoGastricBand. This is the last session – because I have treated real Gastric Band patients who were STILL trying to overeat because they had not dealt with the Psychological factors of their being overweight or obese. I have been a Certified Hypno Gastric Band Practitioner since it appeared and have seen many clients with a high success rate because we work together to help you lose weight and tackle the drivers for obesity. Talk to me for FREE – each person has their own reasons for overeating, and tackling obesity or just being overweight, is about working with the individual. This holistic approach not only deals with the root causes of overeating but helps you deal with your issues in life – low self esteem, depression, lack of confidence, stress, anxiety, panic attacks, trauma , PTSD procrastination, boredom, addiction or what ever is your particular problem. If you are a Comfort Eater, Binge Eater or simply cannot seem to stop picking and nibbling or grazing – talk to me. If you are overweight or labelled obese (BMI over 28) and tend to yo yo diet – talk to me for FREE. FREE CONSULTATION: Text or call 07875720623 or email: grahamahowes@me.com and I will call you in confidence. I have practiced in Harley Street London W1 – currently I offer this approach at competitive rates in Ipswich or Hadleigh Suffolk and Colchester Essex or Worldwide or Nationwide by Skype. I have a great deal of experience with weight loss and eating disorders.